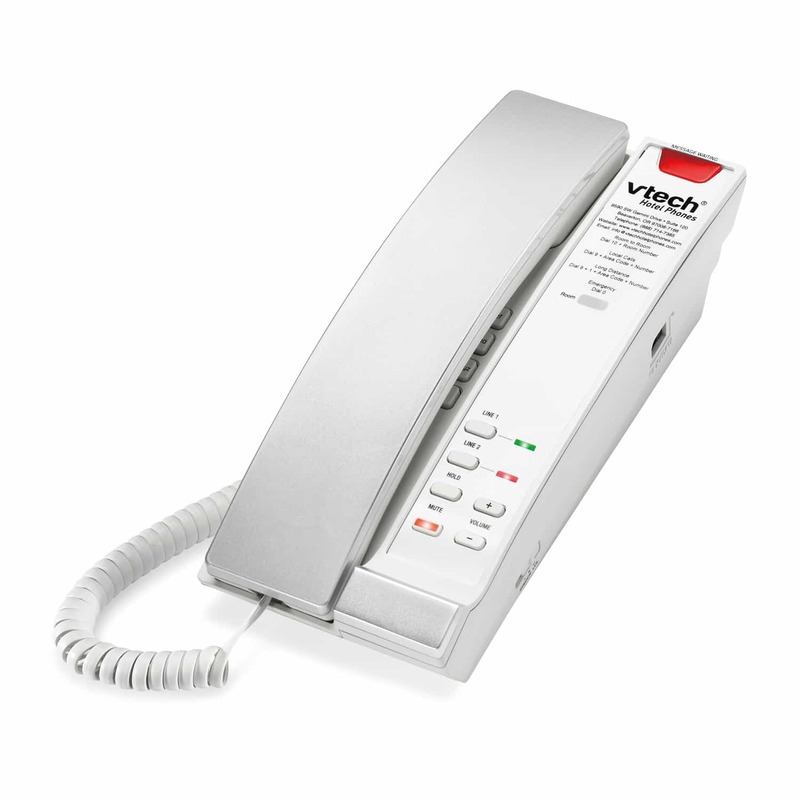 Designed for desk or wall mounting, this two-line, analog TrimStyle phone is an easy fit in any guestroom. Designed for desk or wall mounting, this two-line, analog TrimStyle phone is an easy fit in any guestroom. Contemporary design lends a fresh touch to interiors, while moisture-resistant surfaces and antibacterial plastic protect guests and housekeeping staff from germs.